According to one of several versions of an old Maori legend, the mermaid Pania lived in the sea off the coast of New Zealand’s North Island. One day she fell in love with and secretly married Karitoki, the son of a Maori chief, living with him at night and living in the sea with the mermaid people during the day. Pania and Karitoki had a son, Maremare, who was completely without hair. This worried Karitoki, who thought he might lose his wife and son to the mermaid people. When he tried to make her permanently human, she fled back into the sea and he never saw her again. Maremare now protects the sea and the reef in the shape of a shark or stingray. 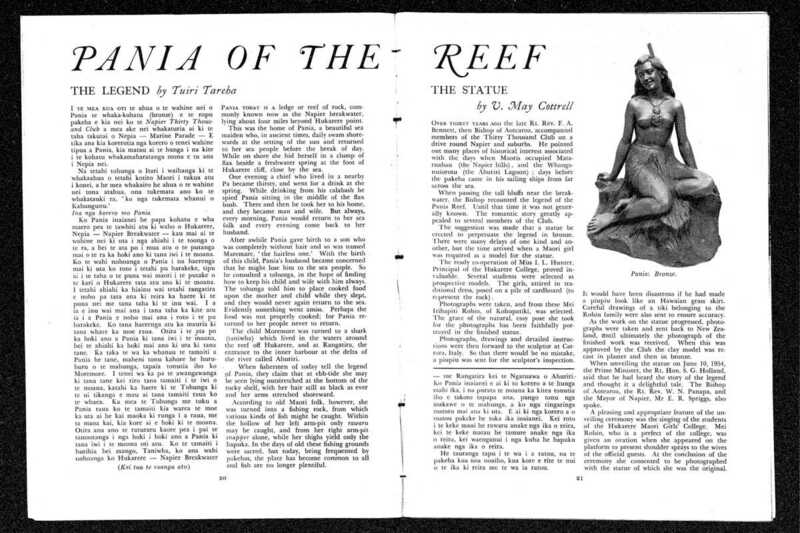 The mermaid statue was placed on the City of Napier’s Marine Parade on June 10th, 1954. It is made of bronze and is 5 feet tall. It was made by the Italian Marble Company of Carrera in Italy, who were commissioned to create the statue by members of Napier’s Thirty Thousand Club (founded in 1912 to help increase the city’s population to over 30,000). 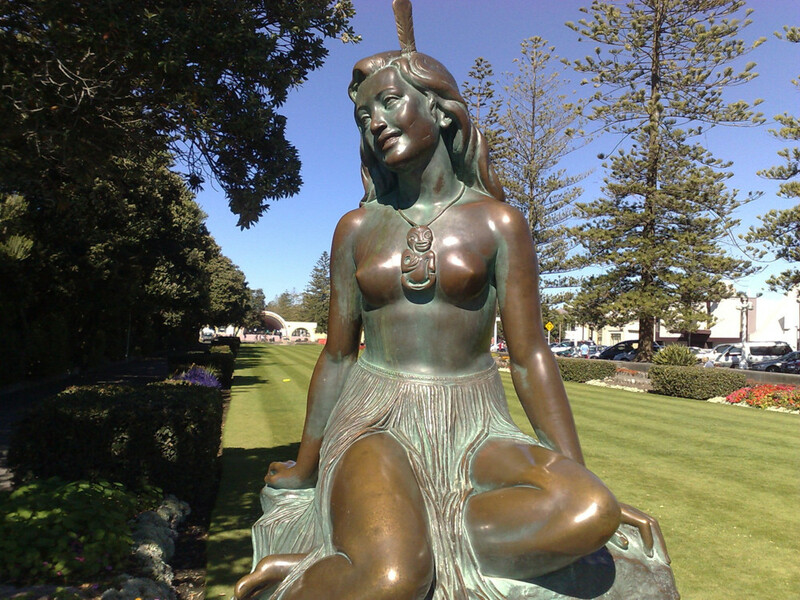 The model for the mermaid statue was Mei Whaitiri, then of Hukarere Girls College. swam out to meet them. which now lies beyond the Napier Breakwater. presented this statue to the city of Napier. The Pania of the Reef mermaid statue is clearly depicting her in her human form – with legs instead of a mermaid tail. Other notable mermaid statues that share this trait are the Havis Amanda mermaid statue in Finland, and the Undine mermaid statue in Austria. Additional images: If you would like to help with more photographs of this sculpture, please contact us. Photos must be yours, preferably 10 megapixel or better. We can only accept photos if you give us full rights to use them in print and digital media.